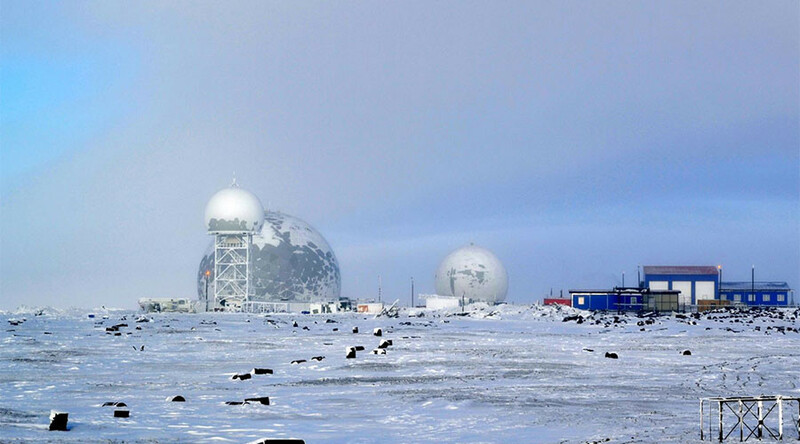 The Russian military has established a new radar facility on the remote Wrangel island in the Arctic to bolster security of the country’s land and air borders in the increasingly strategic region. “A new radar array complex Sopka-2 entered service on Wrangel Island in 2016. 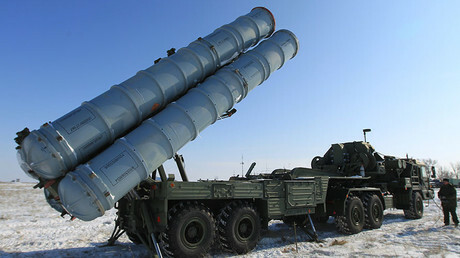 The main mission of the radar is acquiring, generalizing and analyzing of aerial situation in the Arctic region,” RIA Novosti quoted Eastern Military District’s spokesman Alexander Gordeev. Sopka-2 has a protective cupola which allows the system to operate in all weather conditions. It can withstand winds of up to 40 meters per second, while the manufacturer guarantees full radar performance at sub-zero temperatures as low as -40 Celsius. The complex can be used both for controlling civilian air traffic, as well as monitoring airspace for potentially hostile targets. 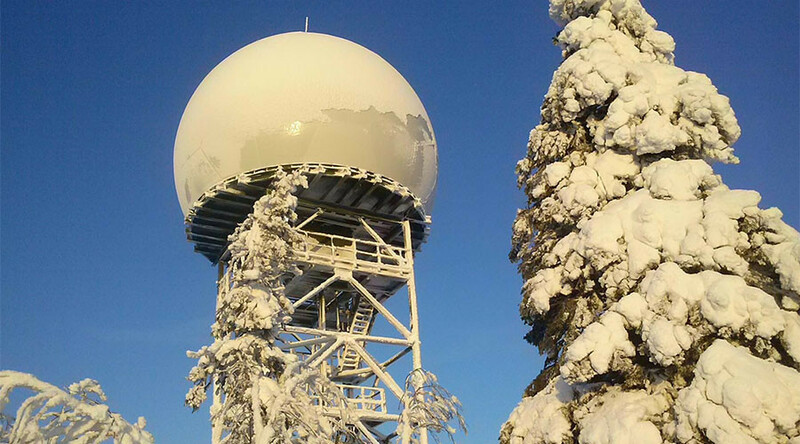 The radar can also provide detailed meteorological data.The radar was constructed by civil and military specialists in harsh weather conditions in a very short time. The Russian military established a base on Wrangel Island in 2014. The facility is constructed out of pre-manufactured modules and has everything needed for long-term habitation, including kitchen and canteen, sauna, billiard room and living quarters. “Radio technical troops are undertaking serious efforts to strengthen control over airspace in Russia’s Arctic territories,” military spokesman Andrey Koban said late December. Russian Aerospace Forces have operational bases on the Franz Josef Land archipelago, Novaya Zemlya archipelago, Severnaya Zemlya archipelago, the New Siberian Islands and Wrangel Island according to the spokesman. In 2014, Defense Minister Sergey Shoigu presented a major plan to cover Russia’s northern borders with a network of military bases, airfields, radar stations and command and control sites as part of the country's strategy in the Arctic. In 2015, the Russian military held major exercises, seeking to test its readiness to counter challenges in the country’s north, particularly in the Arctic. The drills involved about 38,000 troops, 41 ships, 15 submarines and 110 aircraft. Exploration of the Arctic and protecting the state’s northern frontiers are among the priorities of the Russian government and military. The main obstacle alongside extremely low temperatures, is the thick ice, requiring the use of icebreakers. While the Russian fleet of nuclear icebreakers is the largest in the world, it’s still not sufficient for intensifying the pace of exploration. 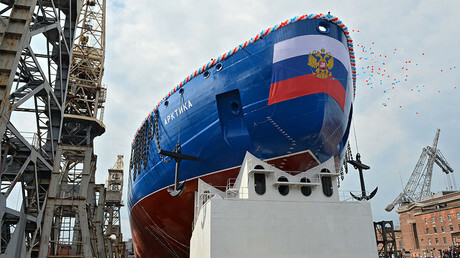 The first ship of a new diesel-electric icebreaker family Ilya Muromets (Project 21180), was commissioned by Russia’s Defense Ministry in June. The new icebreaker family is designed to be used specifically alongside military vessels. The world’s first floating nuclear power plant, designed to power up remote military and civil installations in the Arctic region, has already been tested, but the work on the floating dock only started in October. The floating nuclear power plant is expected to enter service in 2019.